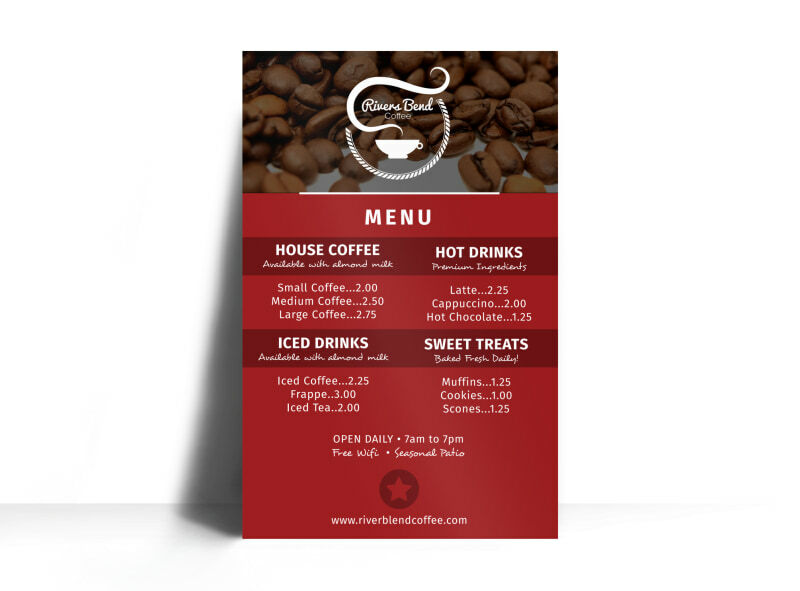 Customize our Coffee Menu Poster Template and more! 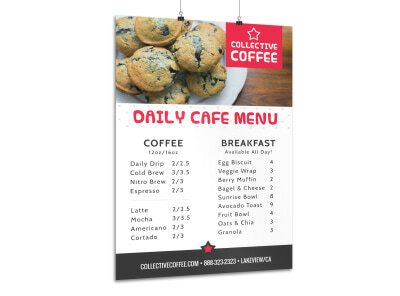 Make sure guests know which of their favorite drinks are on the menu with this bold menu poster. 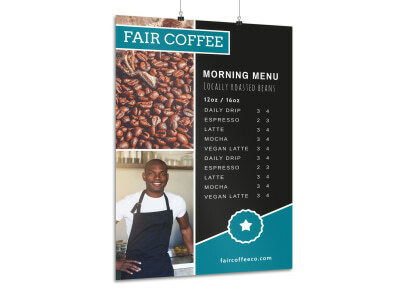 This coffee poster is completely customizable using your own artwork or images so that you can give customers a full rundown of what's brewing. Get busy personalizing this template today!